Anyway as production goes on we will post various snippets and behind the scenes content here, we will even be able to respond to any indepth questions anybody has as well as talking about our gear etc. In the mean time though we are in full live preparation mode. This week we will be playing Blazefest VI at the Empire Music Hall in Belfast which is a really cool gig to raise money for the Royal Childrens Hospital in Belfast and brings a huge range of talent together. 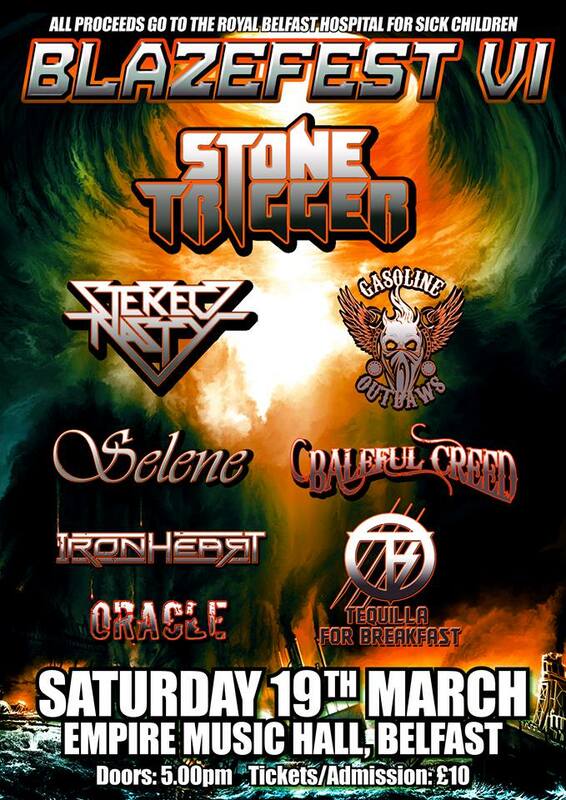 Some may remember that last year our second ever live gig was opening this festival and this year we are in the second half of the line up which we are extremely happy with! 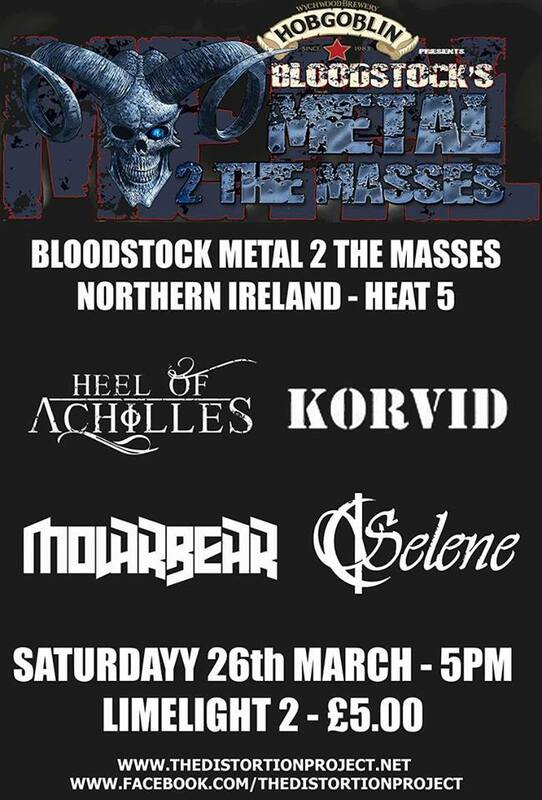 The following week we will be playing Belfast again for the Metal to the Masses competition in the Limelight in Belfast followed by the Siege of Limerick on Easter Sunday which is a hell of a long journey down especially the day after the clocks change and the morning after another gig! 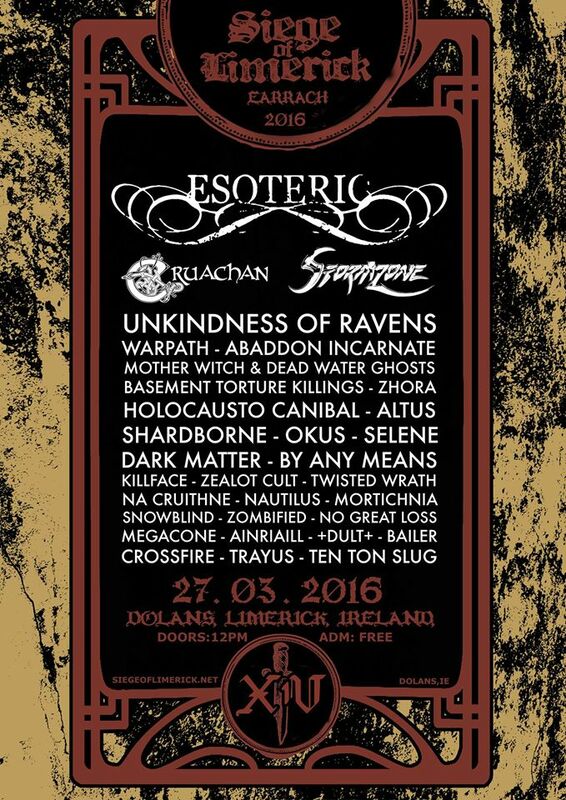 Very Excited to be doing it though as it will be our first time in Limerick.